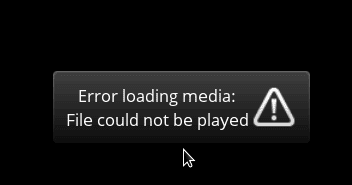 Encountering an error called Error Loading Media File Could Not be Played! in Firefox is at the time while starting the videos from certain platforms in the browser. As soon as the video button is started it does not play rather it shows a black screen. This black screen pops up with an exclamation mark. This error is not stuck only to the Firefox but other browsers too face it. Though here we will stick to the workaround related to Firefox. The root cause of this error is a selected preference in the settings called media.directshow.enabled. This particular choice brings up a conflict and stops the Adobe Flash player from functioning in the right way. But here, in this case, videos directly from the websites like YouTube work really well rather than others.